Board of Intermediate Education, Andhra Pradesh, Vijayawada released Intermediate public examinations timetable, March - 2019 on 14th November 2018. The IPE/Intermediate public examinations, March 2019 are going to start 27th February 2019. 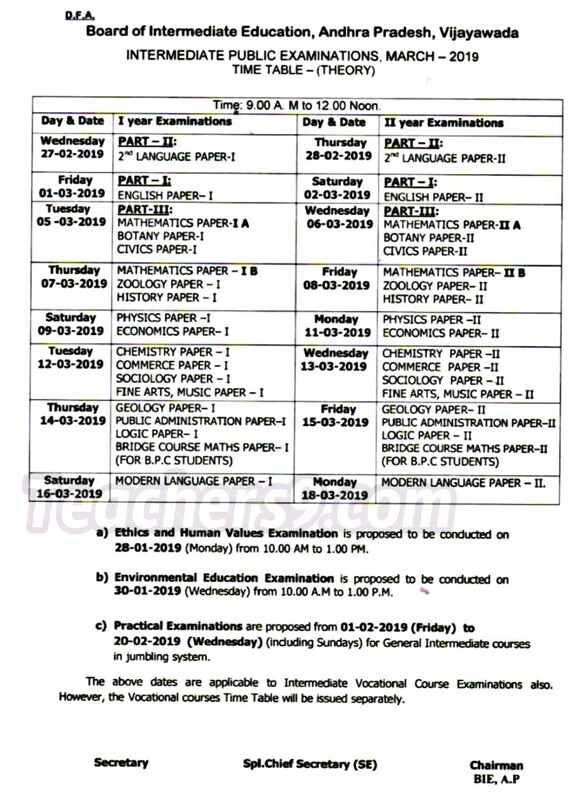 Inter 1st Year and 2nd Year Exams, 2019 commence from 27-02-2019 to 18-03-2019. 18-03-2019 MODERN LANGUAGE PAPER - II.